The Summer Sale is well under way here at size?, so we thought it would be a good time to round up some of our favourite sale picks, available in-store and online. Products included in the Summer Sale range from classic footwear and apparel essentials, to festival-ready accessories, from a brand list that features Stüssy, Nike, PLEASURES, Carhartt WIP and adidas Originals, amongst others. See the entire size? Summer Sale here. 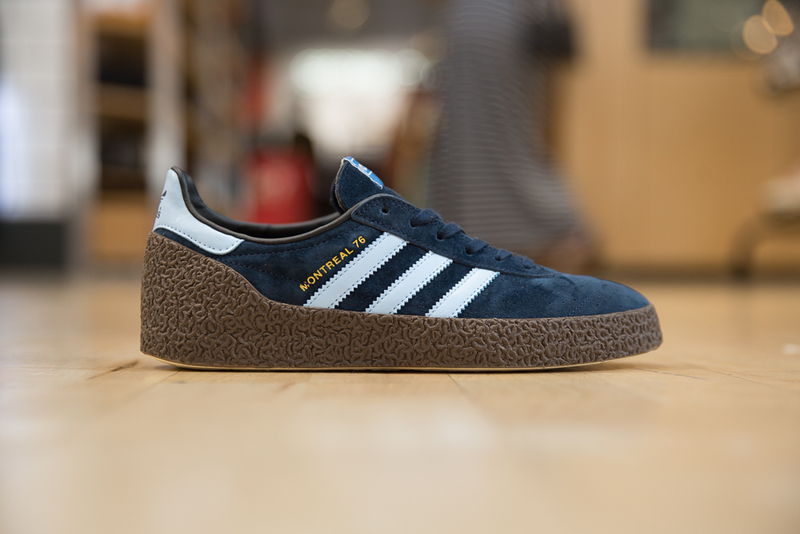 The Montreal was originally created for the German football team to wear as a down-time shoe during the 1976 Olympics in Montreal, Canada. It’s most renowned feature is the eccentric foldable heel counter, used to double the shoe as a comfortable ‘slip’ when players were waiting pitch side. Slightly lower profile than the last time we saw it in 2011, the ’76 incorporated perforations in the toebox for breathability. The branding on the tongue-tab was much more simplified than future releases, and the gold branding was debossed in gold into the side panel, as with all classics from the brand. 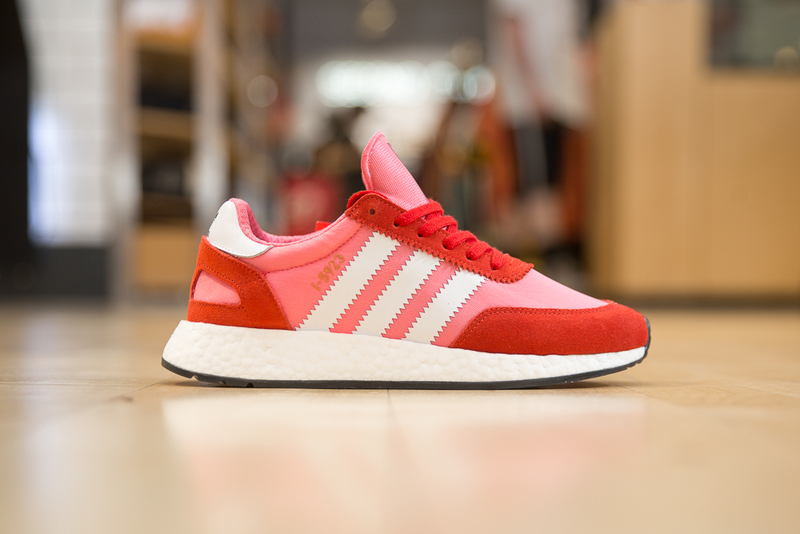 Taking its name from one of the many vintage articles within adidas’ extensive archive, the I-5923 is a hybrid shoe that features characteristics from classic 70’s runners, fused together with the latest contemporary technologies. 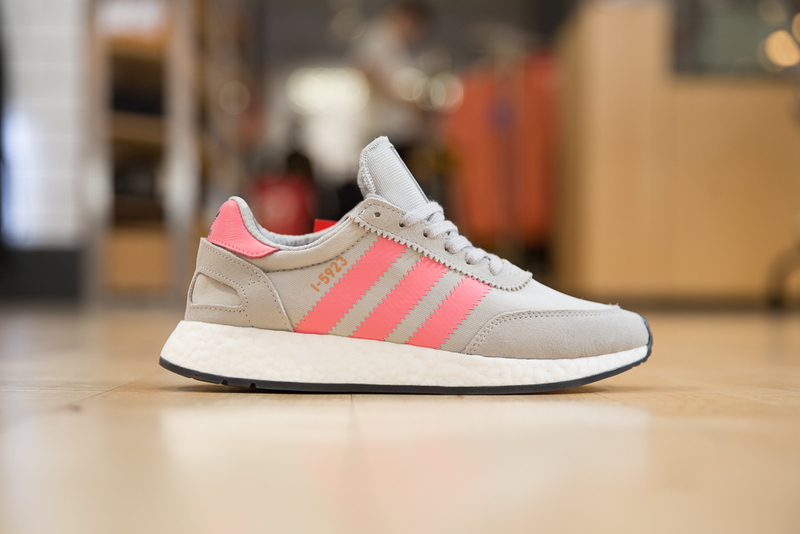 The I-5923 features a knitted mesh construction with premium suede overlays and a BOOST midsole, all finished with iconic serrated 3-Stripe branding. 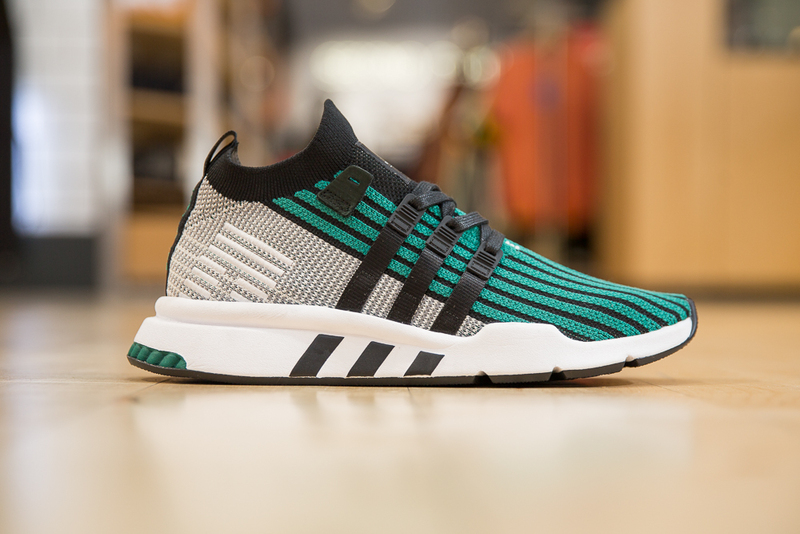 Making its debut early 2018, the adidas Originals Arkyn joined a host of new lightweight lifestyle shoes. 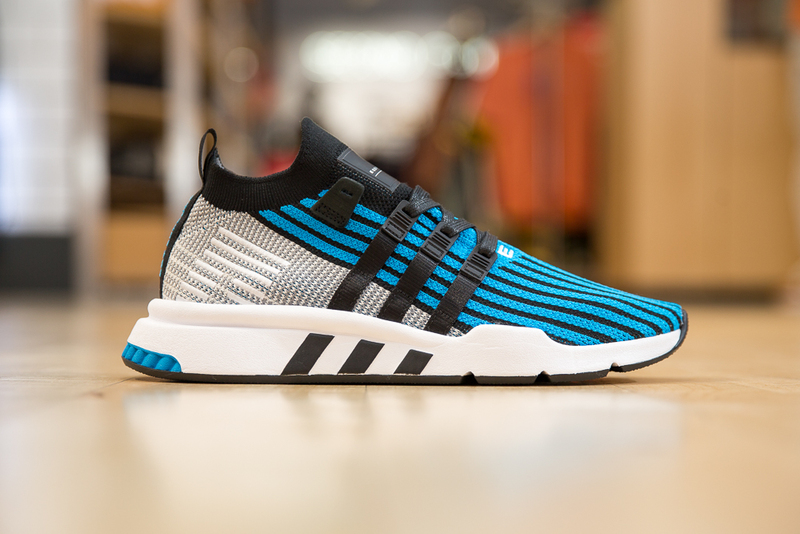 Equipped with a Boostmidsole, the silhouette draws influence from the celebrated NMD range. 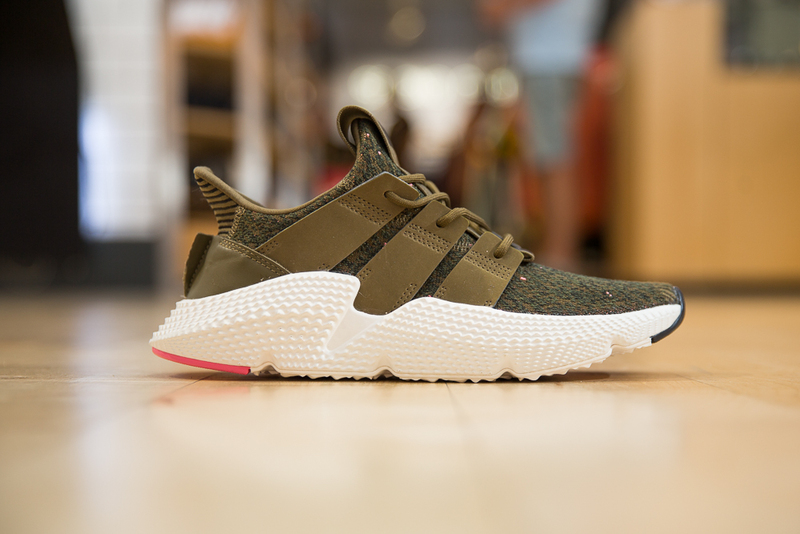 Featuring an elasticated knitted upper and a dual-tone lacing system, the Arkyn sets the tone for a new era of contemporary footwear. 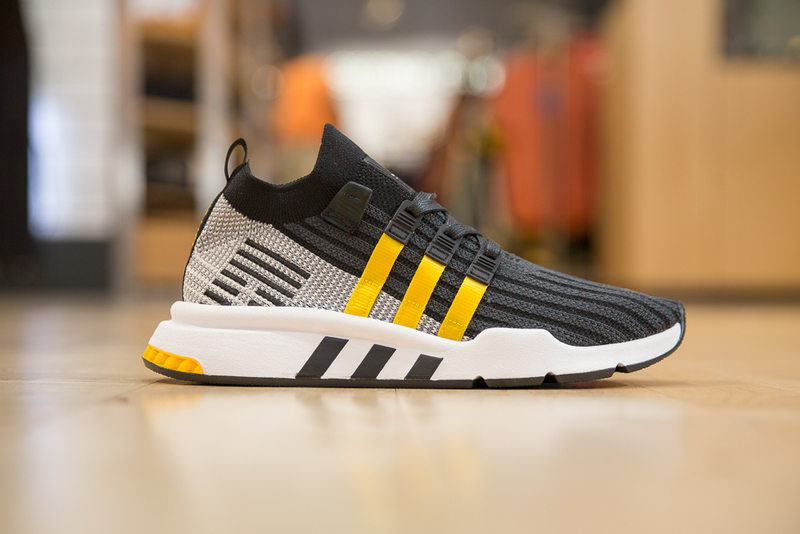 One of the big three to feature as part of the original Equipment line-up in 1991, the EQT Support Running was designed as a pure performance driven product to help give runners the best possible chance to hit their goals. 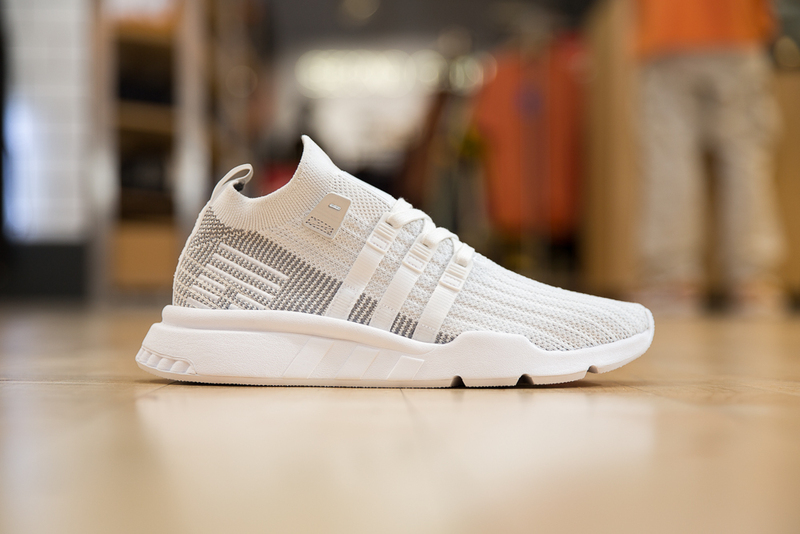 Its DNA returns this year in the latest modern interpretation of the classic runner, suited up in a full Primeknit woven upper that sits on top of a lightweight midsole unit. 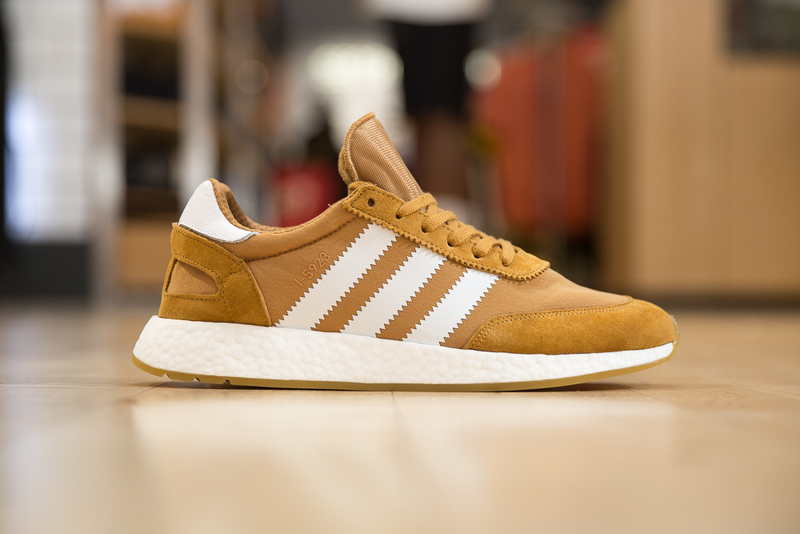 The adidas Originals Tobacco was first released in 1972. Its original design reflected the colour tobacco – hence its name. 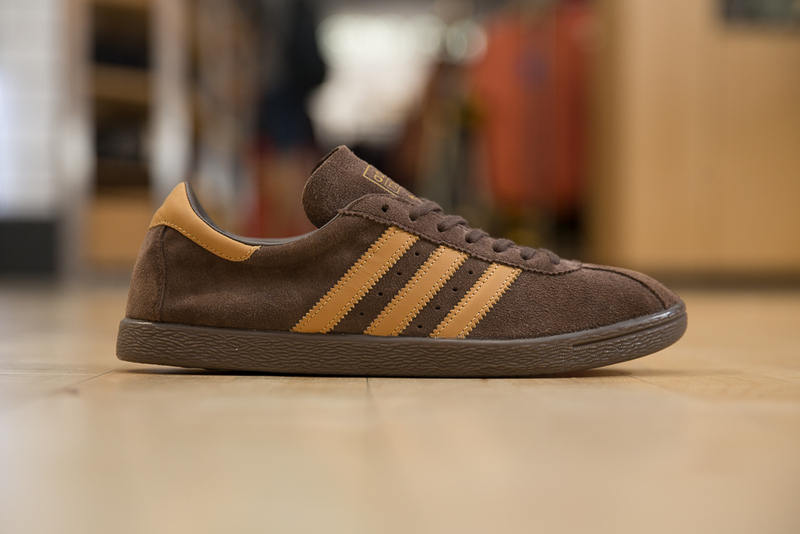 The Adidas Originals Tobacco represents 70s footwear culture at its finest. The classic three-piece upper takes on a dark earth brown hue which is perfectly complimented by the khaki brown accents applied to the legendary three-striped branding and heel tab. 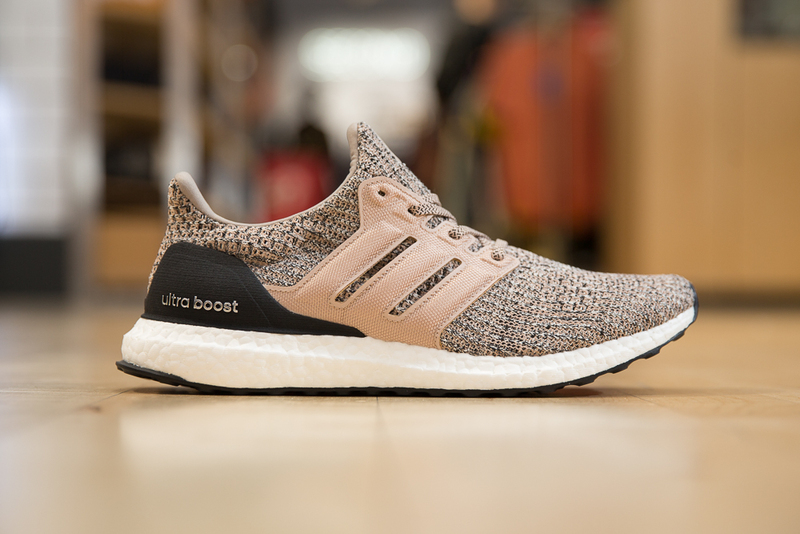 The UltraBOOST caused a revolution in the world of running footwear upon its introduction in early 2015. 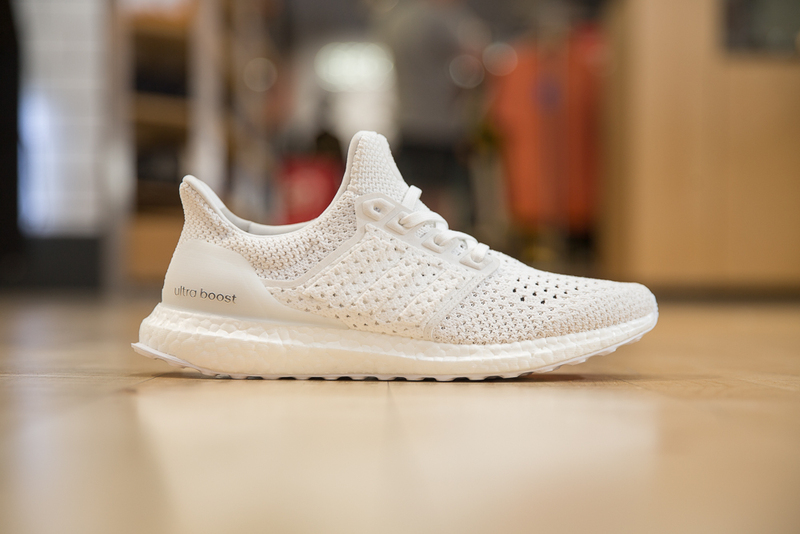 Bringing together two of the brand’s latest and greatest technologies, BOOST cushioning and Primeknit construction, the shoe showed competitors where the future of running lied. 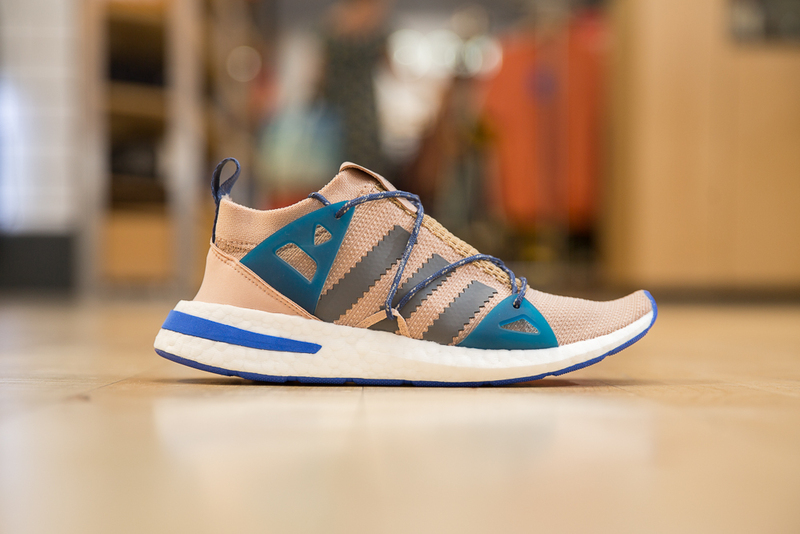 The construction of each midsole consists of nearly 3000 small plastic pellet, each one is injected with air and compressed together to create a larger block of flexible foam.